Greying of hair is one of the things that we all hate to experience. But as one gets in their 50s white hair is bound to come. Nowadays even young people start getting white hair strands. This poses a great problem to the youth and they run about searching for remedies. The reason for the occurrence of grey hair is the inability of the hair follicles to produce melanin, the pigment that gives you natural black hair. If you notice grey hair when you are your early 20s or 30s, it means that there is something wrong with you. Either you are suffering from lack of proper nutrition or you are suffering from some medical conditions. Grey hair is also related with genetic factors. If your family has a history of premature graying of hair, then it may be a reason why you are also getting grey hair at a young age. Some of the main reasons for premature graying of hair are lack of nutrition to the scalp, stress, using very hot water to wash your hair, deficiency of vitamins, iron, copper, iodine etc, too much use of blow dryers, use of hair dyes and hereditary factors. Not cleaning your scalp properly also may lead to the appearance of grey hair. 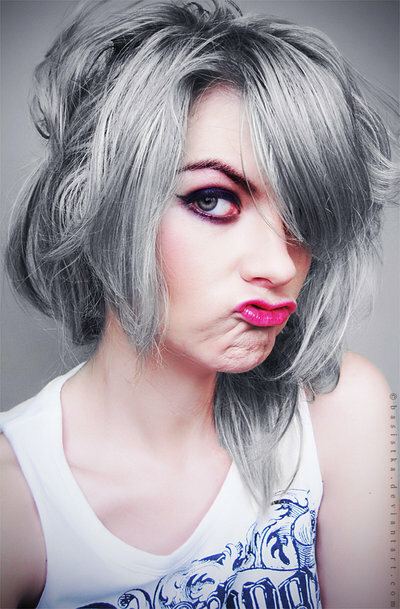 If you think that hair coloring is the only solution for hiding grey hair, you are wrong. The effect of ayurveda is great and you can treat white hair or premature grey hair with this magical medicine. Treatment with ayurvedic medicines helps you to prevent the appearance of grey hair and get back your natural black hair. With advancement in age it is natural that your hair turns white because of the lack of melanin. But premature graying is something else and you can treat it with ayurveda instead of using chemical based hair colors and damaging your hair. Indian gooseberry or amla is excellent for preventing grey hair and maintaining the natural pigmentation of the hair. Cut gooseberries into pieces and let them dry in shade. Once they are dried, take them and boil these pieces with pure coconut oil till the pieces become grey and tender to touch. After it cools down, massage this oil on your scalp well, taking care that each and every part of the scalp is massaged with the oil. Let your scalp absorb the oil completely. After about 20 minutes you can wash your hair. You can also make a paste of 4 or 5 gooseberries and then apply this paste on your scalp. Leave for 20 minutes and then wash off with normal water. Bhringraj is an ayurvedic herb which was used from ancient times to treat all hair problems. The oil made using this herb can reduce grey hair and is good for all other hair problems. Mix one teaspoon each of bhringraj oil and amla oil and apply this well on your scalp and the hair roots before you go to sleep at night. This can help you get rid of grey hair. This is one of the hair treatments that have been practiced from time immemorial. It a very effective treatment and helps you to prevent premature graying. Take 1/8 cup of coconut oil in a saucer and add ½ cup of curry leaves to it. Boil this mixture on a medium flame. Keep it aside and let it cool down to the room temperature. Now take the oil and gently massage your hair root and scalp for a few minutes and then leave it for 20 minutes. Wash off with a mild shampoo and lukewarm water. You can apply this oil daily and it will certainly make your hair naturally black, preventing all white hairs from appearing again. Curry leaves and buttermilk is another effective way to treat premature graying of the hair and grey hair. Just take a handful of curry leaves and mix it well with one cup of buttermilk. Massage your scalp softly with this mixture and let it stay for 30 minutes. Wash with water and then clean your hair with a mild shampoo. People have been using henna to color hair from ages. Mix henna powder, amla powder and water and make a paste. Leave this paste in a bowl for at least 2 hours. Now apply this on your hair and scalp. Wait for one and a half hour and then wash with water. This will provide you natural black hair. Amla or gooseberry is rich in vitamin C and helps in correcting the melanin pigment deficiency in the hair toot and also aids in the formation of new cells in scalp. Lemon fights against infections and prevents hair damage and white hair problems. Take the juice of a lemon and mix it with two teaspoons of water and 4 teaspoons of amla powder. Make a paste out of them by mixing well. Apply this fully on the scalp and leave for 20 to 25 minutes. Wash off with plain water. Do not use any shampoo. Use this once in a week for a few months and you will see that your white hair has turned black. Do not use shampoo on the day you apply this paste,. You can use oil and shampoo on other days. Mix 4 tablespoons of sesame oil with half tablespoon of carrot seeds oil and apply this mixture on your scalp. Massage this well on your scalp and the hair roots. Wait for about 15 minutes and then wash off with lukewarm water and a mild shampoo that is of good quality. Triphala powder is very effective in rejuvenating the dead cells of the scalp. It is an excellent solution for damaged hair as well as graying hair. Have one teaspoon of triphala powder with water before you go to sleep. This will help in reducing the white hair and also prevents hair fall.